1. 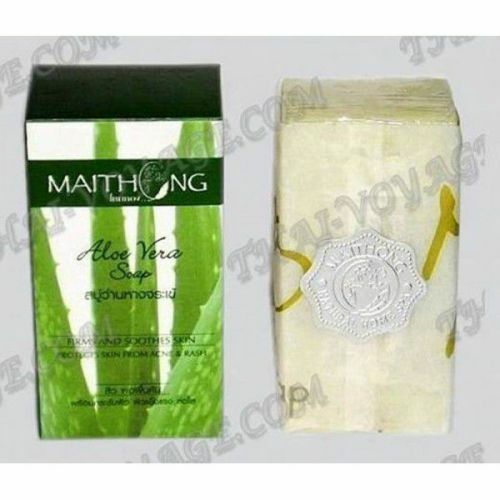 Soap with ALOE VERA: for sensitive skin. Extract of aloe vera has anti-bacterial properties, relieves irritation, softens, nourishes, moisturizes and tones it reduces skin reaction. Vitamin E nourishes the skin and is responsible for its youthful and fresh appearance. Basil neutralize the adverse effects of free radicals, smoothes wrinkles, fine tones, refreshes and rejuvenates skin. With powerful anti-inflammatory properties, basil is effective to eliminate boils, acne, warts and eczema. Natural Soap with Aloe Vera and basil and gently cleanses without drying out even the most sensitive skin. Ingredients: coconut oil, palm oil, an extract of aloe vera, basil leaves, vitamin E, glycerin, water. 2. 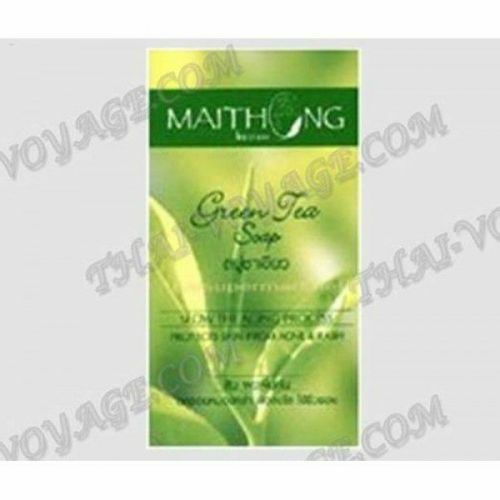 Soap with GREEN TEA: for delicate skin. Organic soap with green tea extract slows down skin aging, has a mild antiseptic and a strong antioxidant effect, making the skin look younger. Soap effectively clears the skin from acne comedones "black spots", prevents the appearance of new ones. It nourishes the skin with nutrients, it helps to equalize the color, enhances the skin's natural protective abilities. Do not dry the skin. Thanks to vitamin E soap moisturizes the skin well. It gives it a healthy and youthful appearance. Soap has a very soft texture and pleasant aroma. Composition: coconut oil, red palm oil, green tea leaves, Vitamin E, glycerol, water. 3. 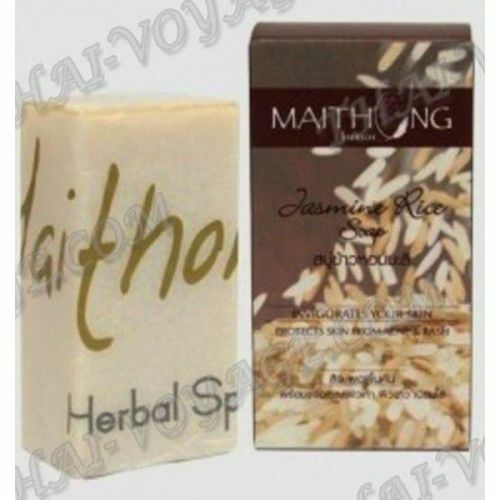 Soap with JASMINE RICE: for deep cleaning of the skin. Organic soap with red jasmine rice and iitaminom E has anti-inflammatory and protective effect. Soap effectively clears the skin from acne comedones "black spots", prevents the appearance of new ones. Eliminates rashes and irritation, pimples and accelerates the healing of wounds, soothes inflamed skin. It nourishes the skin with nutrients, it helps to equalize the color, enhances the skin's natural protective abilities. Do not dry the skin. Thanks to vitamin E soap moisturizes the skin well. It gives her a radiant and healthy look. Soap has a very soft texture and pleasant aroma. Composition: coconut oil, red palm oil, rice powder, Vitamin E, glycerol, water. 4. 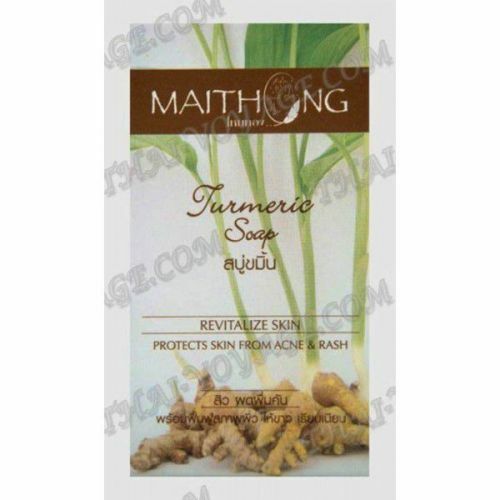 Soap with LEMONGRASS: for dizenfenktsii and reduce inflammation. Natural Soap Lemongrass has antibacterial effect, prevents the formation of black spots on the skin, soothes irritated skin, pimples and disinfects the wound, helps to eliminate rashes bacterial and tones tired skin. It does not dry the skin, giving it a radiant look. Pleasant lemon-citrus scent soap revives and deodorizes your skin. Composition: lemongrass extract, citronella esktrakt, vitamin E, palm oil, coconut oil, glycerine, water. 5. Soap with MANGOSTEEN seeds and black sesame: for the treatment of blackheads, rashes, acne and acne. Mangosteen is an excellent natural antioxidant, it has a powerful bactericidal properties that effectively reduces the appearance of acne. Reduces inflammation, irritation of the skin, cleanses pores, prevents the formation of blackheads, struggling with acne. Vitamin E contained in black sesame seeds, it nourishes and moisturizes the skin, giving the skin a radiant appearance. Ingredients: coconut oil, palm oil, mangosteen extract, Seeds of black sesame, sweet basil oil, vitamin E, glycerin, water. 6. Soap with TURMERIC: good for oily skin and skin against bacteria. Kuruma, tamarind and other Thai herbs used in the manufacture of soap, gently and lovingly caring for your skin. Soap effectively exfoliates dead cells, stimulates blood circulation and gives strength for the active growth of new ones. Turmeric is known as an effective and natural anti-bacterial agent that actively combats the appearance of acne and acne. Vitami E moisturizes and rejuvenates the skin. Ingredients: coconut oil, palm oil, water, glatserin, perfume, listev basil extract, turmeric extract, tamarind, vitamin E.
Usage: daily use to cleanse the skin of the face and body.